These combined temperature and humidity sensors, also known as RH+T sensors also output dew point and frost point. Since relative humidity is highly sensitive to temperature changes, these combined sensors offer benefits of high accuracy and ultra-low power consumption for precision measurement. Reduce your uncertainty with this 2-in-1 RH+T sensor. Precise temperature and humidity ultra-low power sensor with dew point and frost point. Reduce system complexity with 3-in-1 pressure sensor. Ultra-low power pressure, temperature, humidity sensor with dew point and frost point. Platinum PT100 sensors are known for their superb long-term stability and high accuracy over a wide temperature range as found in many continental climates. Platinum sensor stability and reliability is unsurpassed due to simple construction, if high-quality platinum sensing elements are used. Class A (0.06 °C accuracy) waterproof stainless steel tip. 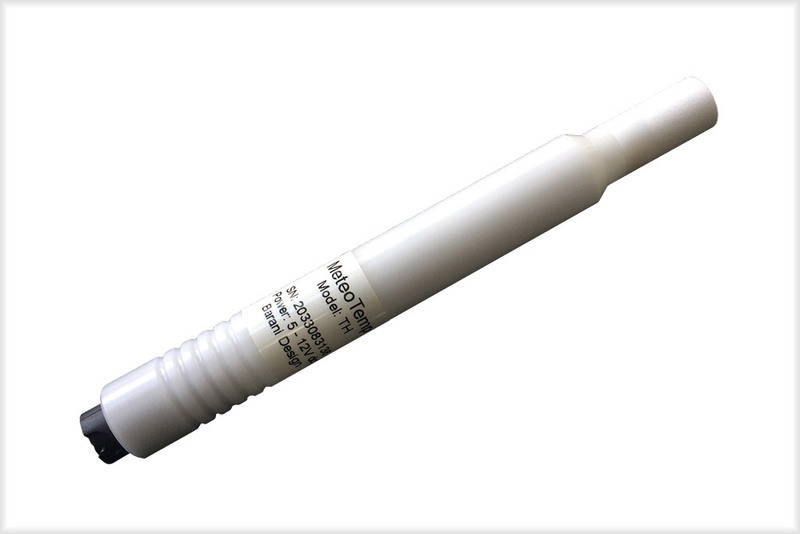 3- or 4-wire PT100 temperature probe for air, ground and water temperature measurement. Calibrations down to -40 °C and up to 80 °C are available per request at customer specified temperature calibration points. Click here for a scale temperature calibration result. Calibrations down to -40 °C and up to 60 °C are available per request at customer specified temperature calibration points. Click here for a sample full scale humidity calibration result. Calibrations down to -10 °C and up to 40 °C are available per request at customer specified temperature calibration points. Click here for a sample dew & freezing point calibration result.